I'm interested in anything categorized under the uncategorizable family of jazz, while being aware of the problem that most of it turns out to be anything but jazz. The video I'm posting here, at least to my ears, falls into non-jazz category. 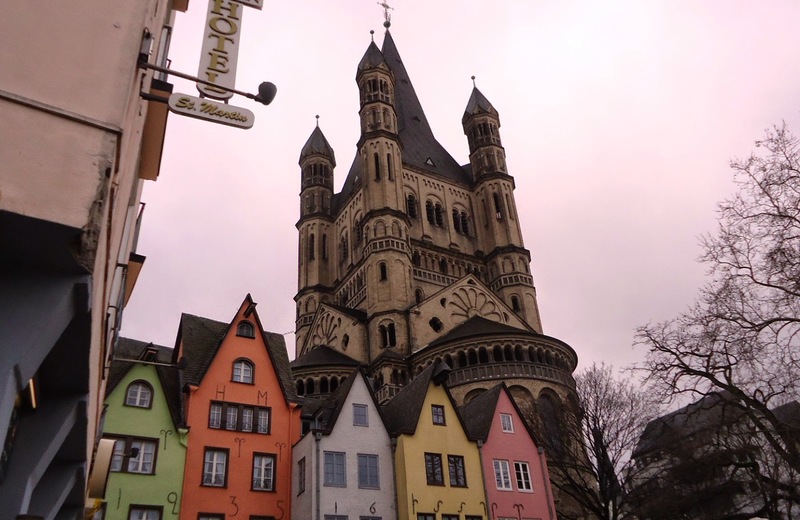 Yet, it is an example of a product sold as jazz and bought in huge quantity by European jazz festivals. Since I've promised to digitize and publicize all my jazz VHS tapes, I do post this as an act of completion: The Jan Garbarek Group playing Jim Pepper's Witchi-Tai-To in Stuttgart, Germany, 1992. This ECM artist sounds so thin and mechanical that I wonder why the labeled never released, for instance, Kenny G.? To me, jazz remains to be an urban, modern sound, always transcending the most materialistic objects and situations into sublime beauty. And it doesn't sound like music played by Scandinavian shepherds in 17th century. The event hosted by Jimmy Lyons. Jean-Luc Ponty, Ray Nance, Svend Asmussen (violin), John Lewis (p), Niels-Henning Ørsted Pedersen, Ray Brown (b), Daniel Humair (d)? 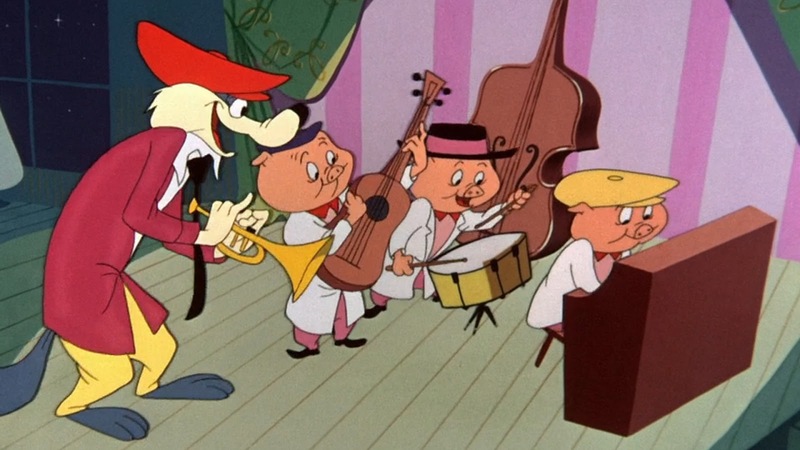 This short, all-musical animation titled Three Little Bops features a soundtrack by Shorty Rogers. Although the three little pigs of the story are not exactly bop musicians, nevertheless the film relies on the myth of fraction between the modernists and traditionalists in jazz when the New overtly rejects the Old (here, portrayed as an old-fashioned wolf trumpet player). Directed by Friz Freleng for Warner Bros., this 7-minute long film is good fun. Jazz Goes to the Movies, a programme curated by Jonathan Rosenbaum and I for Bologna's Il Cinema Ritrovato will be playing in Ankara and two other Turkish cities from next week. 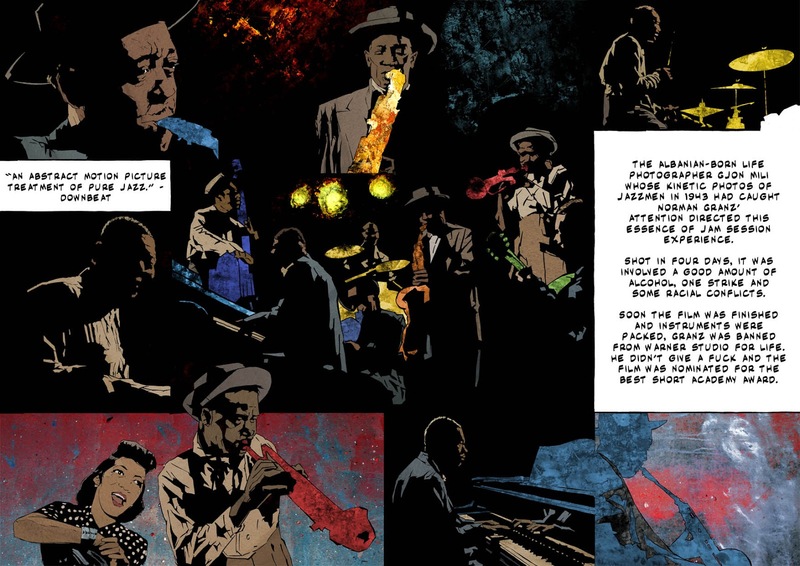 Another jazz/film-related event would be an exhibitions of the comic illustrations about jazz films by me (as writer) and Naiel Ibarrola (as illustrator). 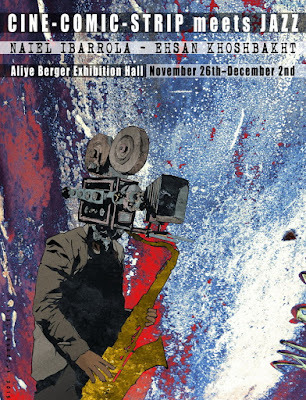 After our first exhibition at Tehran's Aun Gallery, the Allye Berger exhibition hall in Ankara will host our work from November 26 to December 2, 2015. Each film will be introduced either by me or Jonathan. Either because of its pure rhythmic functions or the carefree, even primitive feeling of playing it, bongo has been associated with the beat movement on film, literature, and also in life. The story of Toby Fichelscher (pic: above), a Berliner beatnik, is alsohas its bongos, jazz, and free love. Released on the compilation album, Busting the Bongos, this is a rare chance to listen to the "lost sounds of a jazz phantom", one of so many forgotten European musicians of the post war period. 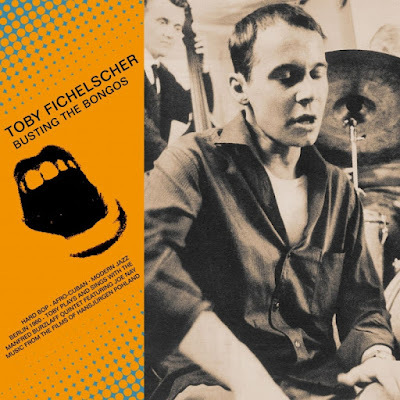 Interesting enough, the recordings presented on this album are the soundtracks of three films (Tobby, Max Knaack, and Schatten), all directed by Hansjürgen Pohland. I've been interested in Pohland since watching his short masterpiece Schatten [Shadows], an experimental film in which the jazz soundtrack is providing the rhythm for a series of shots form shadows and silhouettes on the walls and the grounds and it features a West Coast-sounding soundtrack, probably the best of this compilation. I have no solid information on this Bill Coleman video, except that it's been filmed in Switzerland in 1969 and transmitted on March 20 of the same year. 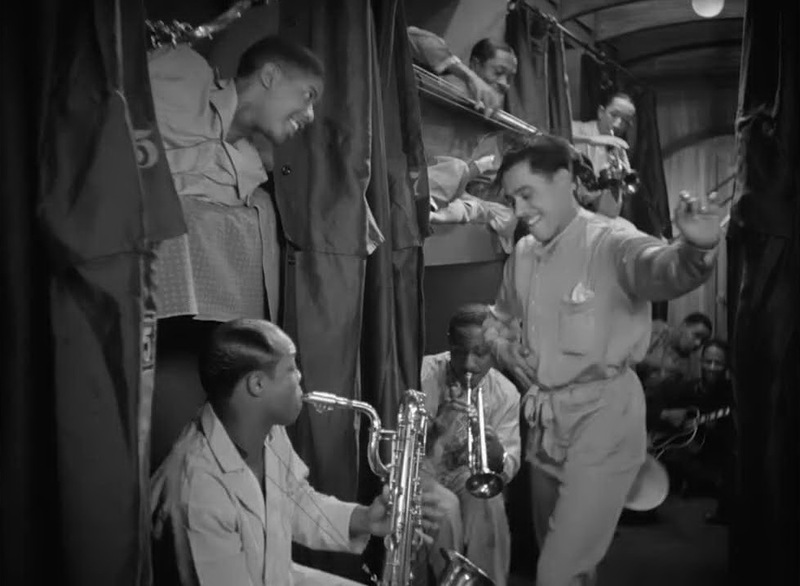 From the bass drumhead, one can see that Coleman is accompanied by The New Ragtime Band whose members could be identical to the following line up: Jacky Milliet (clarinet), Pierre Descoeudres (trombone), Vino Montavon (piano), Bernard Moritz (guitar), Hans Schläpfer (bass), and either Marco Steiner or Rolf Sydler on drums. Ethan Hawke as Chet Baker in Born to Be Blue, an upcoming Canadian film directed by Robert Budreau. One of my latest discoveries in the world of European jazz films comes from Italy. The films in question are two shorts directed by a largely unknown Gianni Amico whose early death (1933-90) and the fact that many of his films were made for Italian TV has added to an unjust obscurity. However, his name might have a special resonance for those who have seen the chapter of Jean-Luc Godard's Histoire(s) du cinéma dedicated to Amico. 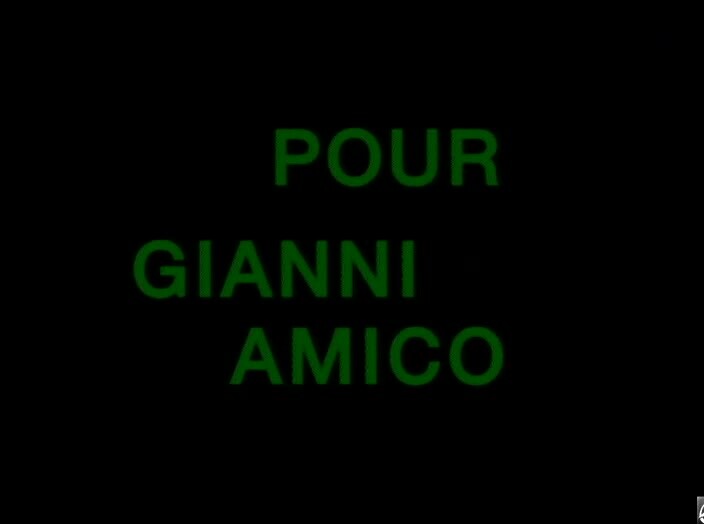 Why when Godard aspires to praise Italian cinema in his film history project he chooses Amico as a symbol of that cinema and certain tendencies in it? The answer could be in one of Amico's films, released on DVD by Cineteca di Bologna. Cineteca di Bologna has put together a collection of three of his films, two of which (Noi insistiamo! Suite per la libertà subito and Appunti per un film sul jazz) about jazz, and the other one, Il cinema della realtà, mostly about cinema, featuring interviews with masters of Italian modern cinema such as Rossellini, Antonioni, and Pasolini. Biographical information and first hand observations about Amico, his cinema and his politics can be found on a 40-minute long documentary featured on the disc, in which, among others, Bernardo Bertolucci, whose Prima della rivoluzione (1964) was co-written by Amico, reminisces about his late friend and collaborator. 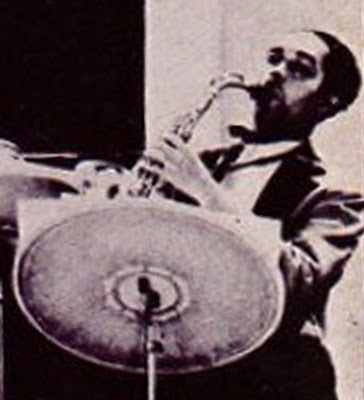 A combination of personal passion and political commitment connected Amico to the avant-garde jazz of the 1960s out of which at least two films were produced. Duke Ellington in Berlin's Tempelhof, Feb 15, 1963. Death is not the end. If one doesn't agree with such statement from a theological point of view, it's impossible to reject it from a jazzological one. 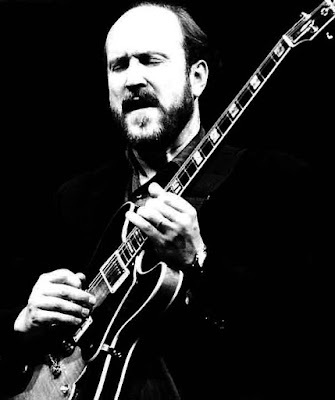 The evidence to the argument is a wealth of material discovered and released years after the passing of jazz musicians, anything from first class unissued studio recordings (which is the subject of this post) to poorly recorded airchecks whose sound of hiss is sometimes stronger than the lead saxophone. 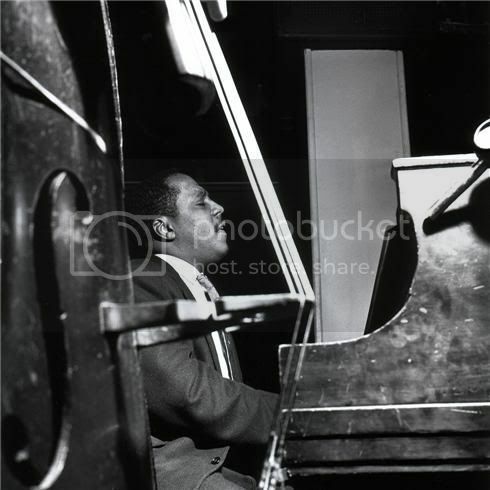 If posthumous releases are signs of life, then no other jazz musician has been more alive than Ellington whose death in 1974 was the beginning of a new musical life with many first-time issues hitting the market, mounting to hundreds of hours of good quality live and studio sessions. One of these momentous and (almost) first-time issues, recorded in Germany in 1970, will be released on 10 July 2015 by Grönland Records, exactly 45 years after the fact. Imagine the Duke standing next to the Dom, the celestial Cologne Cathedral, just two years after his second Sacred Concert and three years shy from the Third and the last, gazing at the dark, wounded stones, looking pensive. Then a young record engineer by the name of Conny Plank approaches him, invites him over to Rhenus studio, and play him some tracks. The mutual respect grows, Duke begins to like Conny's sound, and he records 6 tracks (2 compositions x 3 takes each) at the young man's studio. Ten jazz takes on film music that prove the interconnectedness of the two art forms. Jazz music has long expressed its capacity to borrow from various, sometimes contradictory sources in order to create something which in every sense transcends the original elements. 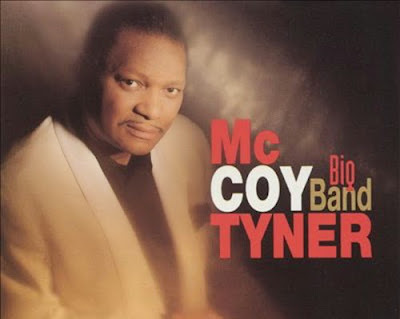 Since the earliest days of jazz as a musical form, it has been inspired by military and funeral marches; has stylishly interpreted popular songs; and even brought the classical intricacies of Wagner into the domain of swinging brasses and reeds. 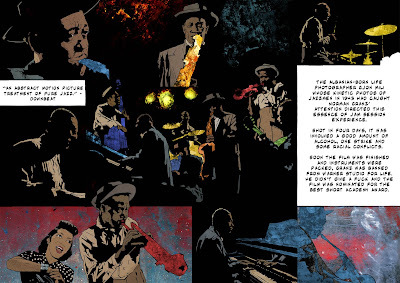 This multiculturalism and eclecticism of jazz likens it to cinema which, in turn, has transformed pop culture motifs into something close to the sublime and mixed ‘high’ and ‘low’ artistic gestures to remarkable effect. 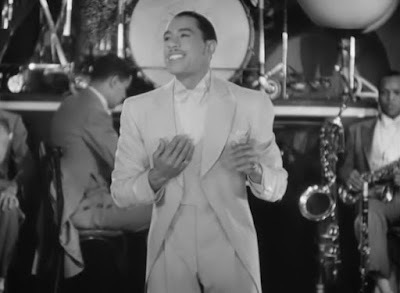 In the history of jazz, the evolution from ragtime or traditional tunes, to discovering the treasure trove of Broadway songs was fast and smooth. The latter influence was shared by cinema, as the history of film production quickly marched on. The emergence of ‘talkies’ in the United States meant rediscovering Broadway, its stars and directors and above all its musicals and their songs. In the 1930s, jazz became the incontestable rival of cinema in extracting tunes from the American theatre and transforming them into immortal standards. Both arts, film and jazz, used popular songs as a structuring framework, around which band leaders, musicians, directors and choreographers could develop more sophisticated and daring ideas. 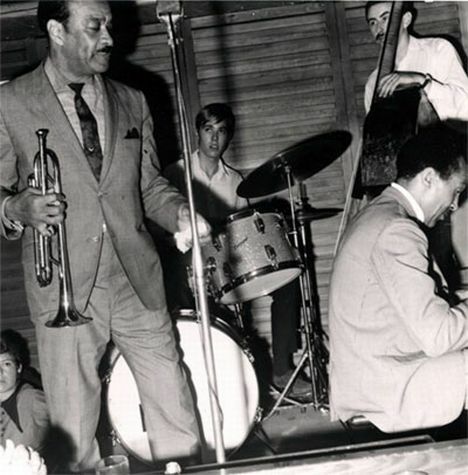 Just as the emergence of television began to make itself felt at picture houses across the States, where declining attendance figures reflected a shift in the culture, jazz experienced a similar deadlock which contributed to the decline of the big bands. The effects of the war for returning Americans, and the new possibilities for enjoying entertainment in the home gave rise to very different strategies of survival: The film studios began to produce more sumptuous, glossy and costlier motion pictures to overshadow television, while jazz bands were downsized, becoming more intimate – or “indie”, if you like. Instead of big bands, modest outfits of three to six musicians was jazz’s answer to the times. 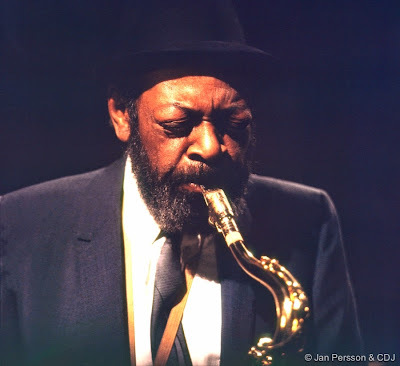 In this respect, one might find the origins of John Cassavetes and 1960s independent cinema not only in Hollywood, but in Coleman Hawkins Quartet. Cinema, for a very short time, managed to beat the odds with the help of Cinemascope, stereophonic sound, majestic scores and other gimmicks which expanded the affective potential of the big screen. After the invention and popularity of 331/3 rpm discs, releasing film music on LPs became a good source of income too. 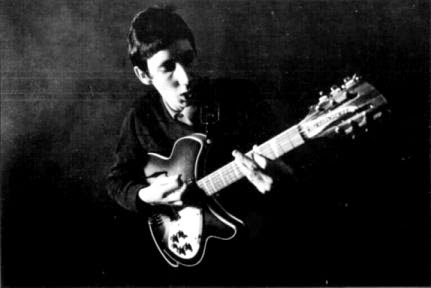 This market blossomed in the 1960s; in some cases, it was not only music but dialogue from the films that were presented on record (Who's Afraid of Virginia Woolf? and Romeo and Juliette). Jazz labels took note, and saw no reason to deprive themselves of such guaranteed success. 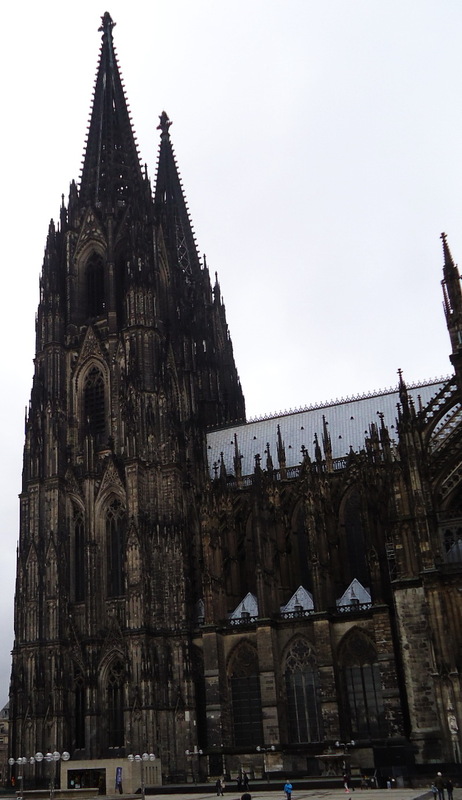 Soon the themes from films were added to an expanding repertoire. 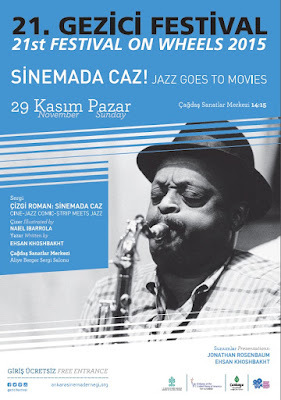 Bringing film music to jazz wasn’t only a trend in keeping with the change in the public’s taste, but also a challenge for the musicians’ creativity in harmonic innovations and free improvisation – the way it had started two decades before, with Broadway songs. 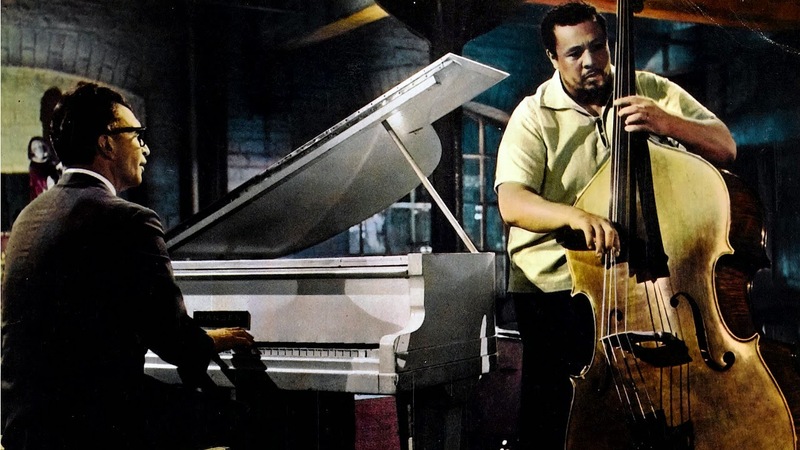 The ten jazz takes on film music that I have selected here, rather than being a case of one art form riding the coattails of the other, prove the interconnectedness of the two and a motivating force that they both passionately share: creating images. 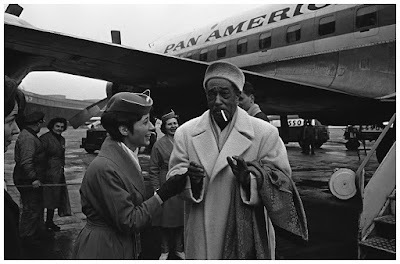 According to JazzTimes, Grönland Records in Germany will release a previously unissued Duke Ellington session on July 10. 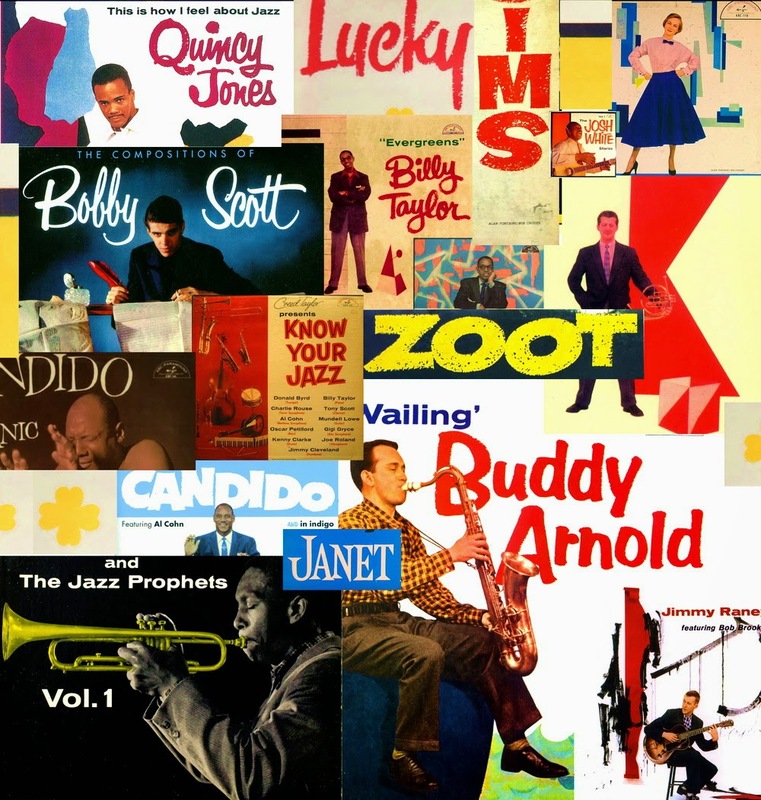 If one looks carefully at the iconic LP artworks of the ABC Paramount's 1950s jazz series (as well as some of its non-jazz releases from the same period) two names sharing the credits continue to appear on every single cover. 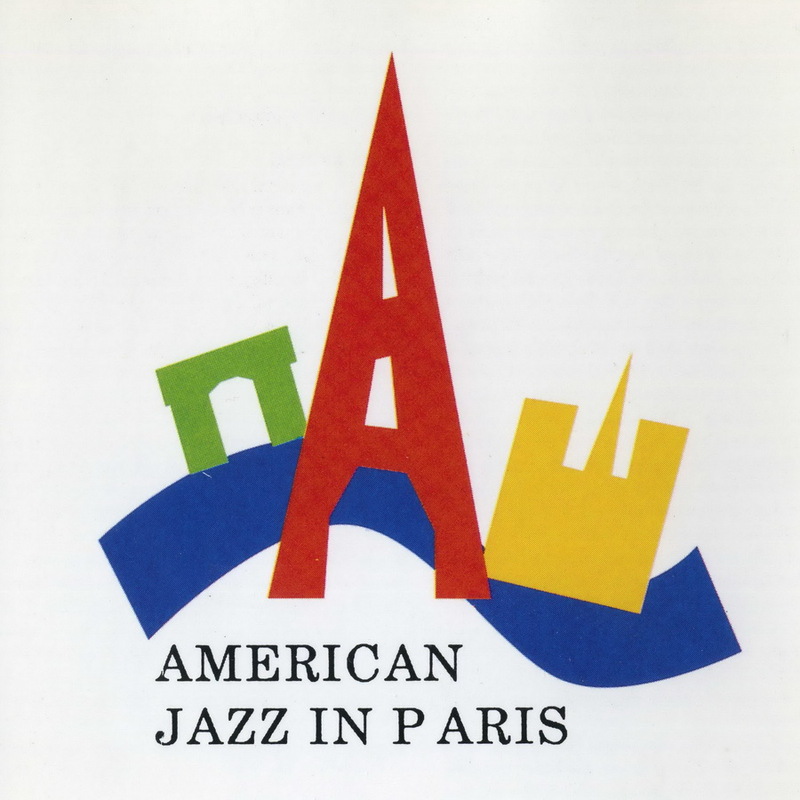 These two, who have created some of the most sophisticated, handsomely designed jazz cover arts in history of this music, are Alan Fontaine and Bob Crozier. 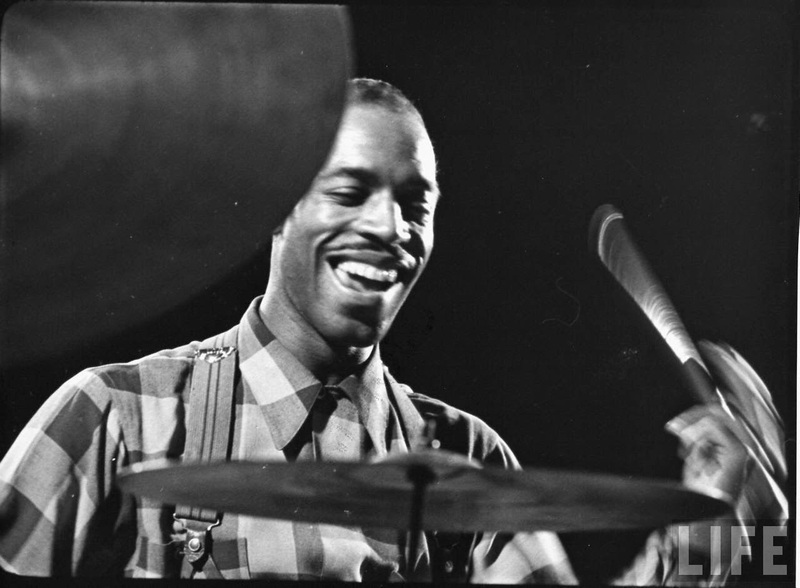 Whereas Alan Fontaine was in charge of photographing the musicians for ABC Paramount, Bob Crozier was the graphic artist and responsible for the final product. Fontaine, who also worked for the Esquire and photographed many Hollywood stars (among them Myrna Loy and Joan Crawford), could deliver a straightforward work, capturing all musicians, regardless of their style, in the same kind of docile, smiling pose. He wasn't a William Claxton or a Herman Leonard but he was good enough and more importantly, his work was jazz the beginning of the design process and not the end. However, what really transformed the ABC Paramount cover designs was the work of Bob Crozier whose innovative, fresh, and intelligent ways of combining graphic art with photography gave a very distinctive look to the label's releases between 1955 and 1957. Crozier joined the label as graphic artist shortly after ABC Paramount started operating in New York City. The label was releasing a catalogue as diverse as pop to jazz and children music to WWII songs. And what really gave a unified look to these diverse musical genres was their design. 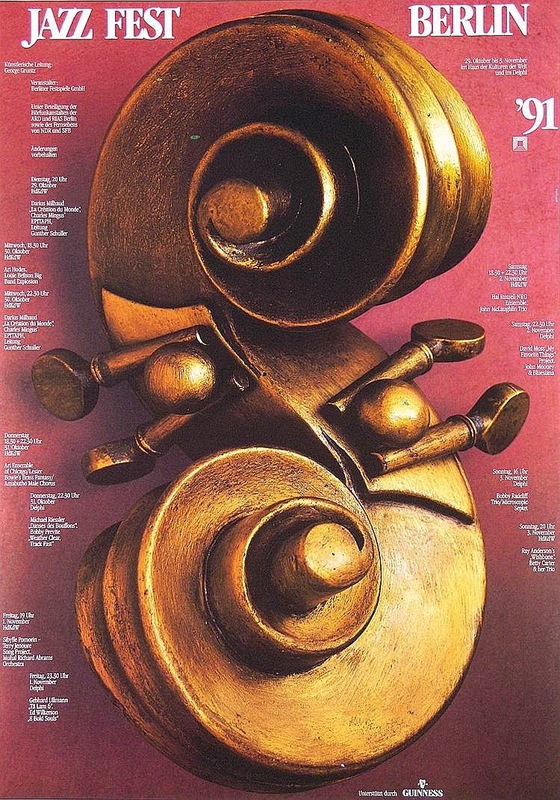 Among stylistic motives in Crozier's artworks are his unique handwritten typefaces, and also a bold use of vivid colors against a backdrop of bright or white surfaces. He was isolating (photographed) figure from the background and by adding abstract elements to the composition, his design was actually complementing the existing photograph. 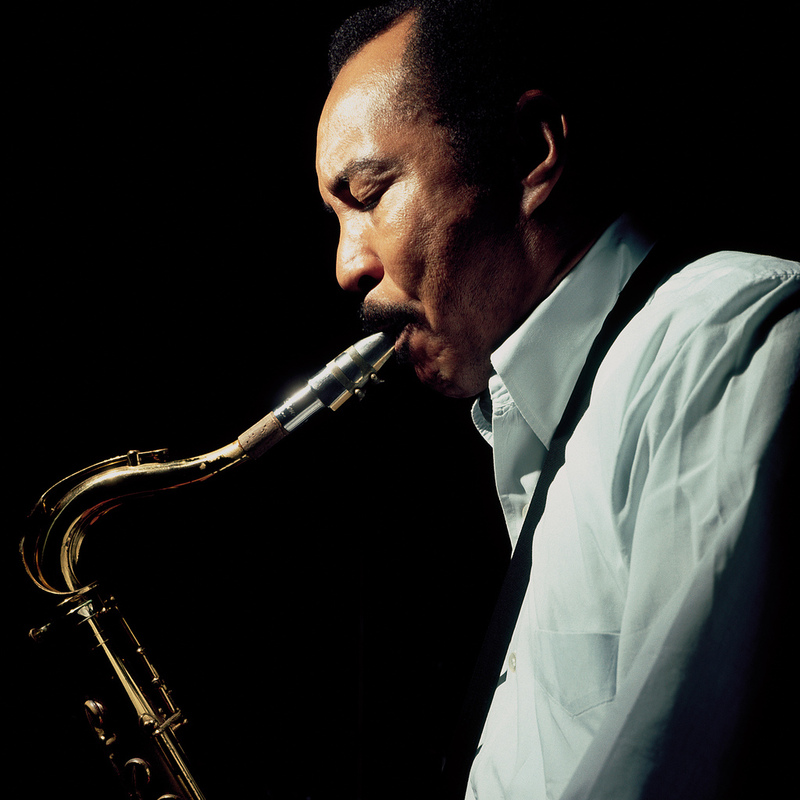 "In 1962, in my second year of Art College in London, I remember giving my saxophonist father some earphones to listen to the first stereo record I'd ever purchased. It was by Wes Montgomery. It was a strange feeling, sitting in the bedroom I'd shared with my little brother for six years, watching my father being transported by a decent (though lashed-together) Hi-Fi sound for the first time. It made me feel as though my father was junior to me rather than senior; I felt I was giving him something that, as we were both musicians, he should have given to me. good isn't it?" He nodded. "This guitar player is wonderful," he said first. "I knew of him, of course, but his playing here is superb." He handed me back the earphones. "It's intriguing," he added. "You can hear how the players' timing drifts apart, you are almost in the band. It's like being in the middle of the band, in fact." My father had spent his life in the middle of many bands big and small, so he knew what he was talking about. 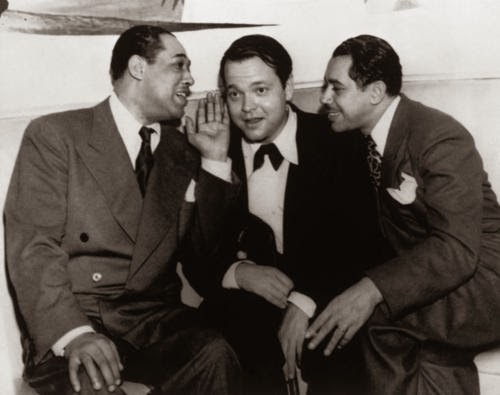 Duke Ellington was one of the Silver Screen's favorite personalities since the sound was introduced to cinema. The Duke's life on celluloid started with 1929 Black and Tan Fantasy and continued until the last days of his life. 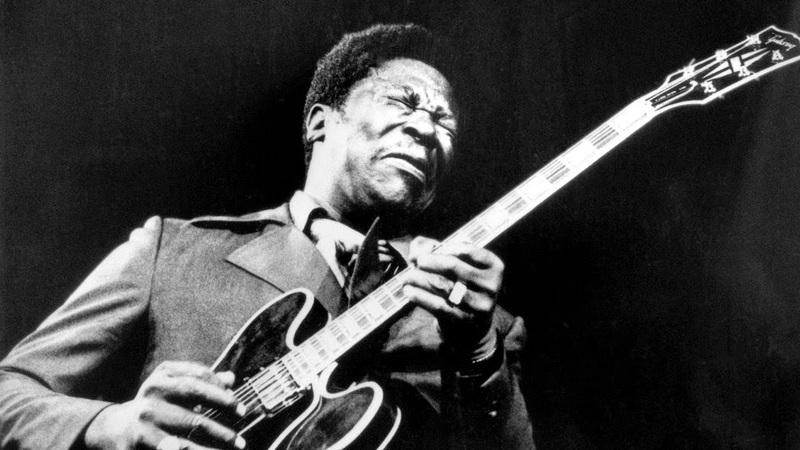 Among a wealth of visual material left behind after Duke's passing, the early films, for their presentation of best musicians in their glory days, are most precious, but also because of their age, less satisfactory in terms of sound and image quality. 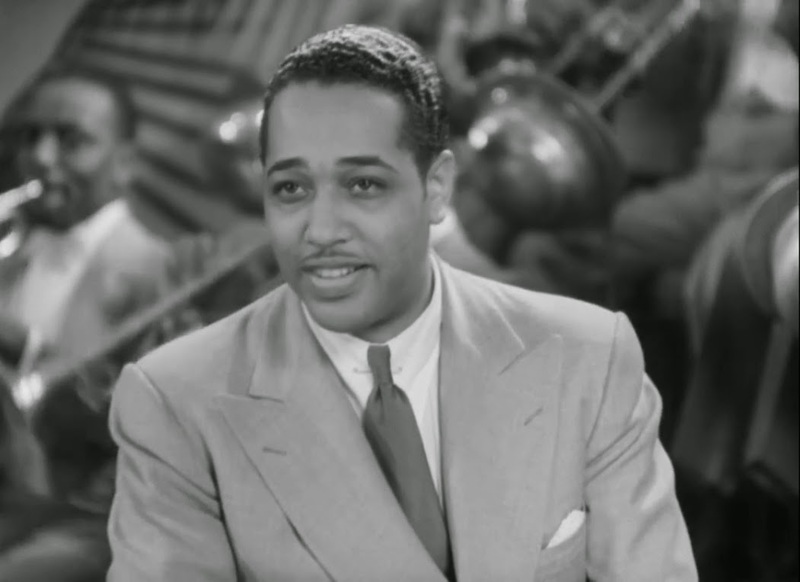 In that regard, probably the best gift one could give to the members of Ellingtonia all around the world is the restoration and re-release of three Duke Ellington films, undertaken by Cohen Film Collection in the US whose new prints look like a Rembrandt picture being cleaned and removed from elements of dust and dirt by National Gallery. Now, you can see Black and Tan Fantasy, Symphony in Black and Bundle of Blues in very good to excellent qualities. 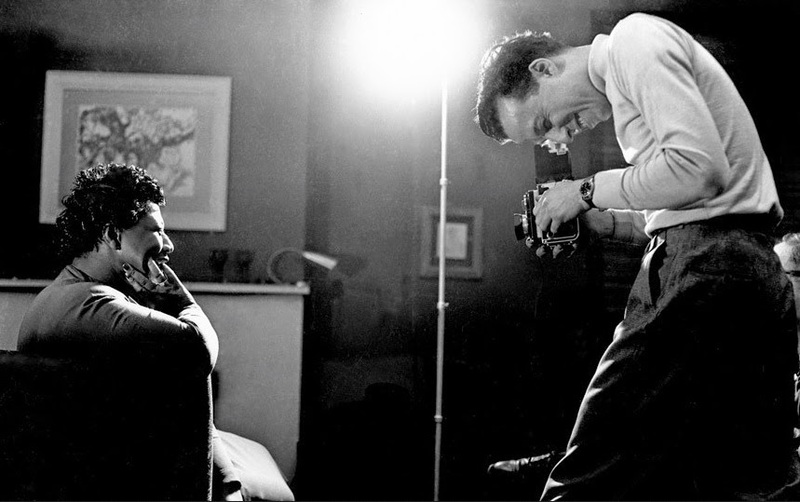 Gjon Mili [pic above] is the photographer/filmmaker whose single cinematic achievement, Jammin' the Blues, changed the history of jazz on film. By bringing authenticity and artistic vision to capturing a performance on film, Mili was probably the first filmmaker who ever thought of transposing jazz, as an art form, into cinema. 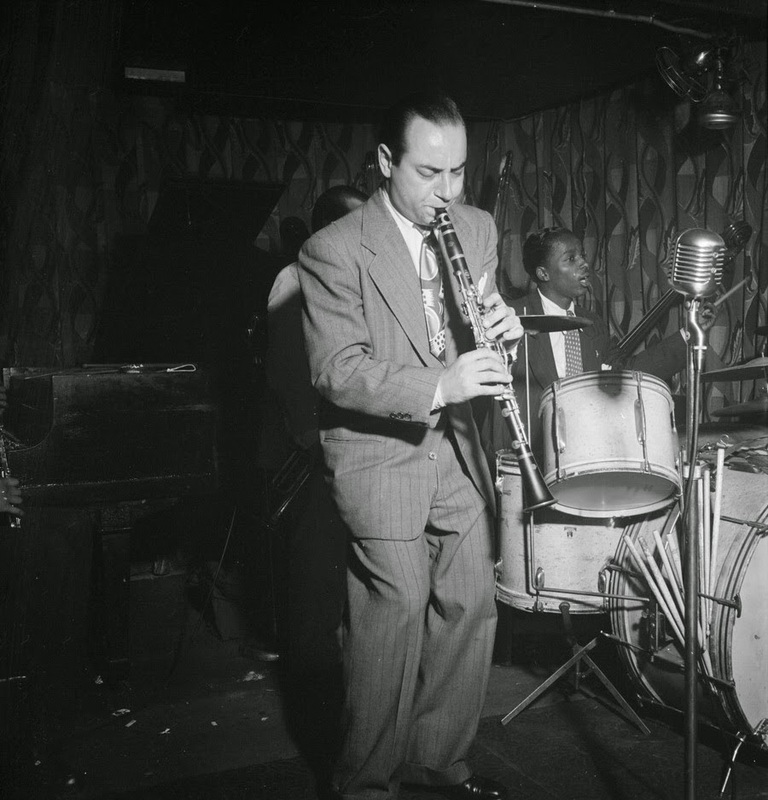 Commissioned by Warner Bros. in 1944, Mili who was left free to choose the subject of his first short, turned to Norman Granz and asked him to put together a group of jazz musicians for a film which was meant to reconstruct the feeling of jazz after hours. 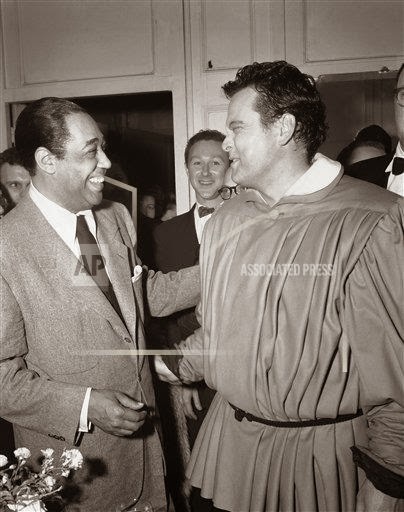 Granz not only invited some of his JATP stars, but also included some of the older, non-JATP musicians such as Sid Catlett (the original plan was to have Louis Armstrong on-board). The shooting was wrapped up in four sessions and the film reached the screens in December 1944 to critical acclaim. It was even nominated for an Oscar but lost it to Who's Who in Animal Land! 70 years onwards, the UCLA film archive has restored the film and it's going to be screened as a part of the programme curated by me and Jonathan Rosenbaum for Il Cinema Ritrovato film festival in Bologna. Anyone who has seen this true gem of jazz cinema and is familiar with Mili's groundbreaking photography for Life, will immediately detect a concept practiced by Mili to perceive the filming opportunity as an extension of photographic work, studying bodies and gestures and exploring the relation between musicians and space around them -- the study of the physical energy of a performance. 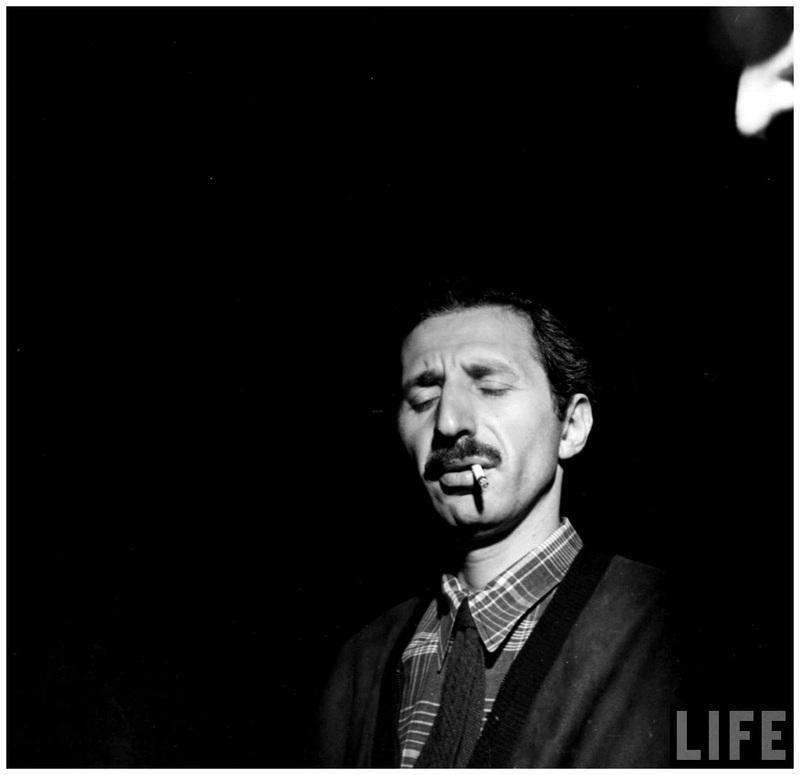 The photographs that I've collected here, all taken by Mili, serve as an evidence to that argument and also demonstrate some of the most dense, telling compositions ever created in jazz photography. 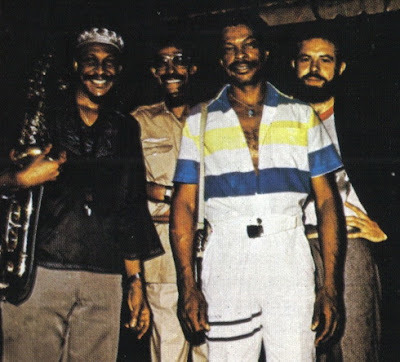 Eric Alexander (ts), Cecil Payne (bars), Stephen Scott (p), Ron Carter (b), Lewis Nash (d). 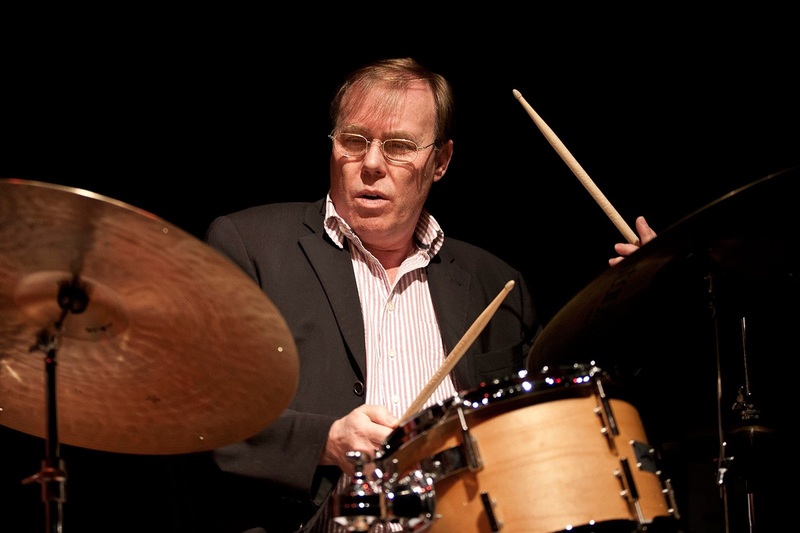 The son of a nightclub owner, Soloff was exposed to live music since early age. Later, he enrolled in Julliard and in 1968 joined one of the most exciting jazz-rock "fusion" bands of the era, Blood, Sweat & Tears. 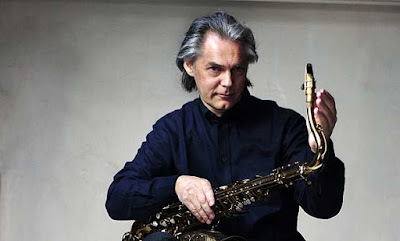 Soloff recorded and toured with BS&T for five years, before returning to jazz idiom to record (a few albums) under his name (including a wonderful Trumpet Legacy) and appear in numerous live and studio sessions with anyone from Carla Bley to Ornette Coleman. He was also a wine connoisseur. 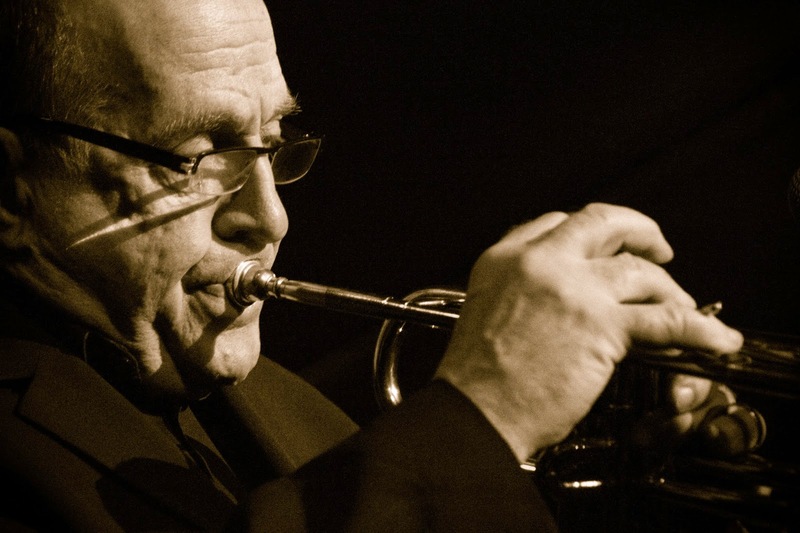 Lew Soloff passed away in the early morning hours of Sunday, March 8, 2015 in New York City. Lew Soloff - trumpet; Chuck Winfield - trumpet; Dave Bargeron - trombone & tuba; Lou Marini - woodwinds; Larry Willis - keyboards; Georg Wadenius - guitar; Steve Katz - guitar; Jim Fielder - bass; Bobby Colomby - drums. I'm glad to announce that 'jazz on film' is returning to the screen, or rather jazz is going to the movies, in Bolgona, Italy. 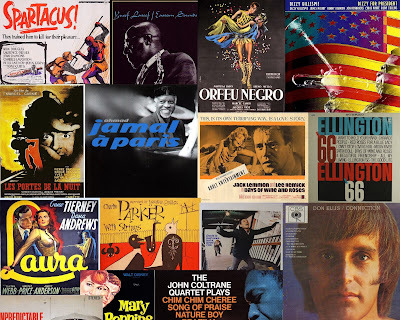 Me and my Chicago-based friend Jonathan Rosenbaum have curated a mini retrospective of jazz films, “Jazz Goes to the Movies,” at Il Cinema Ritrovato in Bologna (June 27–July 4, 2015). 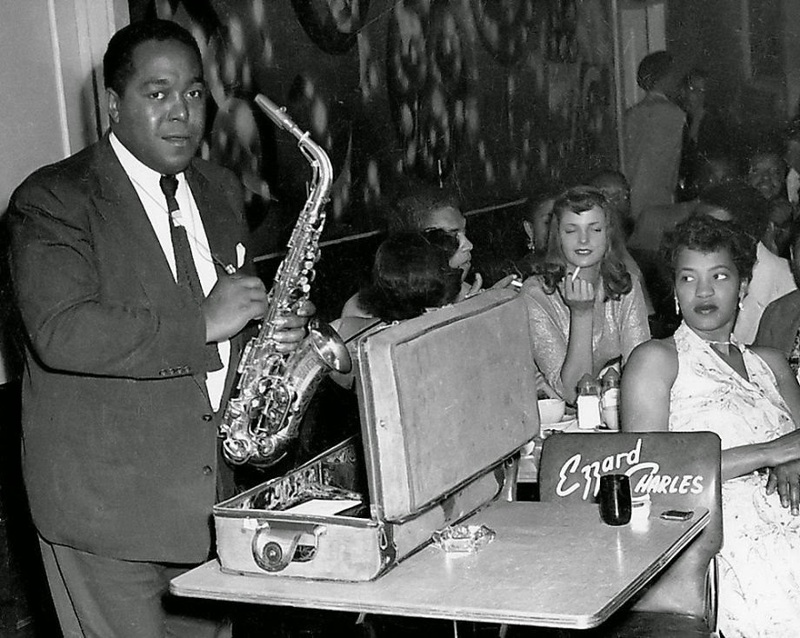 A lively 'jam session' between reality and fiction, this programme explores 'the jazz life' in cinema, both for its participants and for its audience, in both documentaries and fiction films. 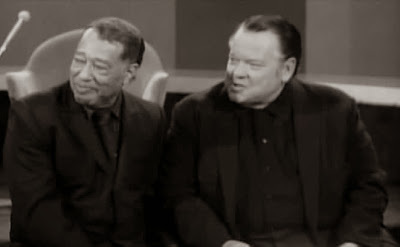 Along with major documentaries such as Jammin' the Blues (restored) and Jazz on a Summer's Day, the programme features fiction films in which famous jazz musicians play themselves (Charles Mingus and Dave Brubeck in All Night Long) and in which listening to jazz plays a significant role (Howard Hawks' Ball of Fire and Charles Burnett's When it Rains). 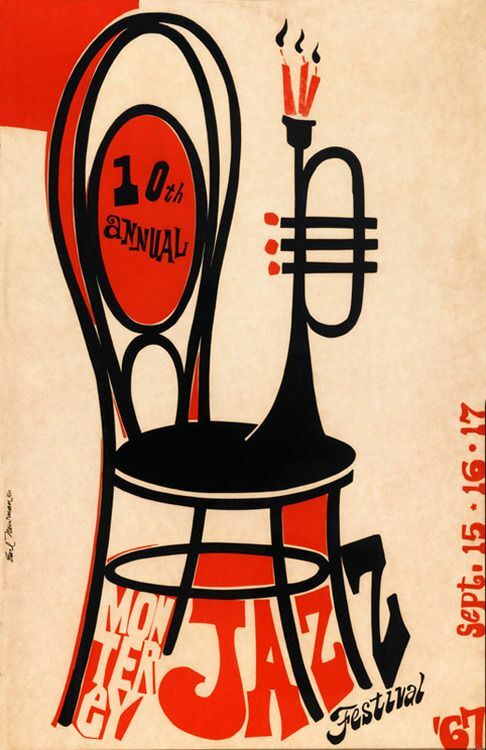 We'll present new restorations of early sound jazz films (Dudley Murphy's Black and Tan Fantasy), as well as rarely screened Soundies (short musical films from the 40's). Yet, there are more jazz-related films programmed for the new edition of Il Cinema Ritrovato such as the world restoration premiere of Ascenseur pour l'échafaud (Louis Malle, 1958, featuring Miles Davis' legendary soundtrack) and films by Gianni Amico. In addition to that, there will be a panel on jazz and film run by me and Jonathan for which we've planned to screen some rare 16mm jazz films, including more Soundies. More information about this year's programme, here. Fo general information about the festival go here. "The only way I knew how to keep going was to keep going", said Clark Terry (aka Mr. CT) about his career, one of the most illustrious ones in history of jazz and also one of the most inspiring ones which outlived major changes and trends in this music, in spite of numerous health issues. 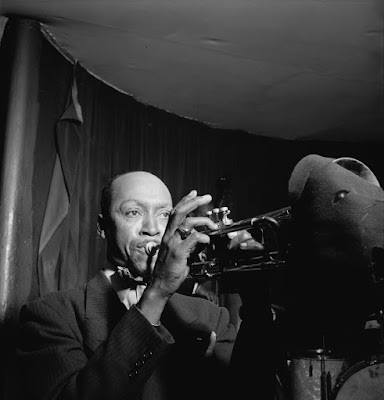 Since the 1940s, nothing but death itself could stop Terry from creating one of the most distinctive trumpet (and later flugelhorn) sounds in jazz, composing, and teaching. 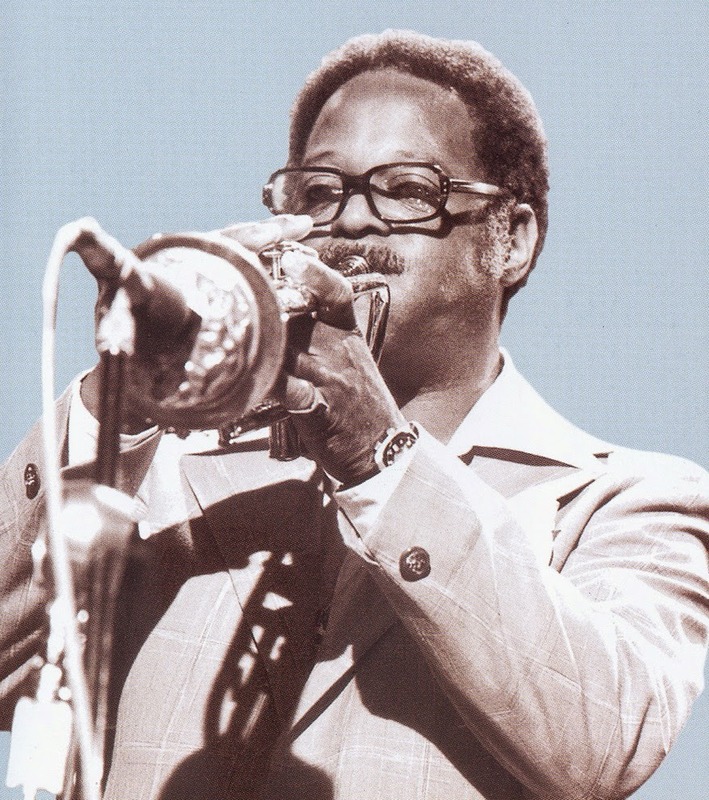 Clark Terry died yesterday, February 21. He was 95. Anyone who has seen the emotional, beautifully narrated documentary Keep on Keepin' on about Clark's last years and his friendship with a young, emerging pianist, will confirm that he kept keepin' on until the very end, even after losing his eyesight and the amputation of both legs due to diabetes. 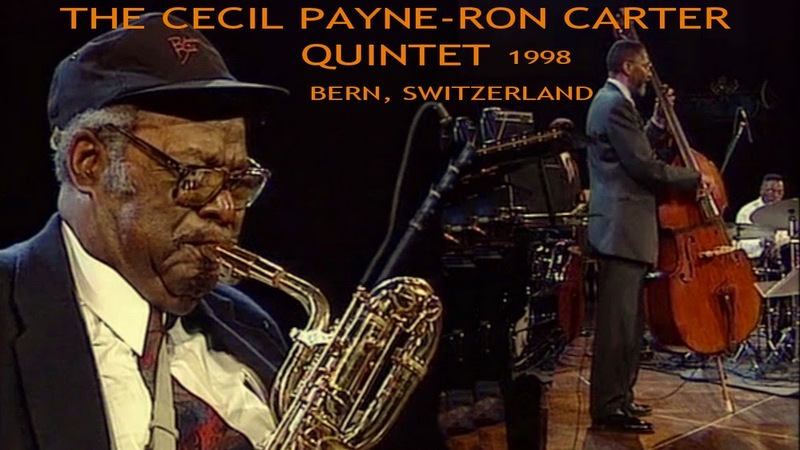 Throughout the short life of this blog (at least comparing to nearly eight decades in Clark Terry's career), I have published notes, information and music about and from this wonderful musician. 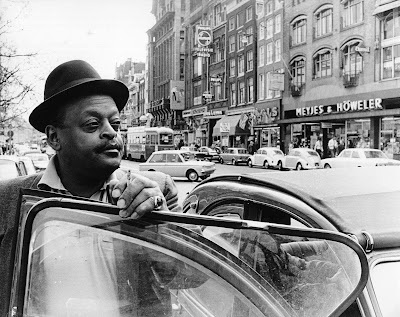 Today, as a tribute to Clark Terry, I put together a list of these various posts, which can make a day of CT's music, videos and interviews for anyone interested in pure, straight ahead jazz played by a witty genius. I can't stop imagining that the death has had a difficult time understanding Mr. CT's mumbles. Probably that's why, in spite of grave illness, it took him so long to give up. He jived the death out. Clark Terry, backstage in Switzerland, 1969. The Illinois Jacquet Big Band feat. Clark Terry, 1998. This is a long excerpt (25 mins) from the Charles Mingus Epitaph concert in Berlin, as conducted by Gunther Schuller. 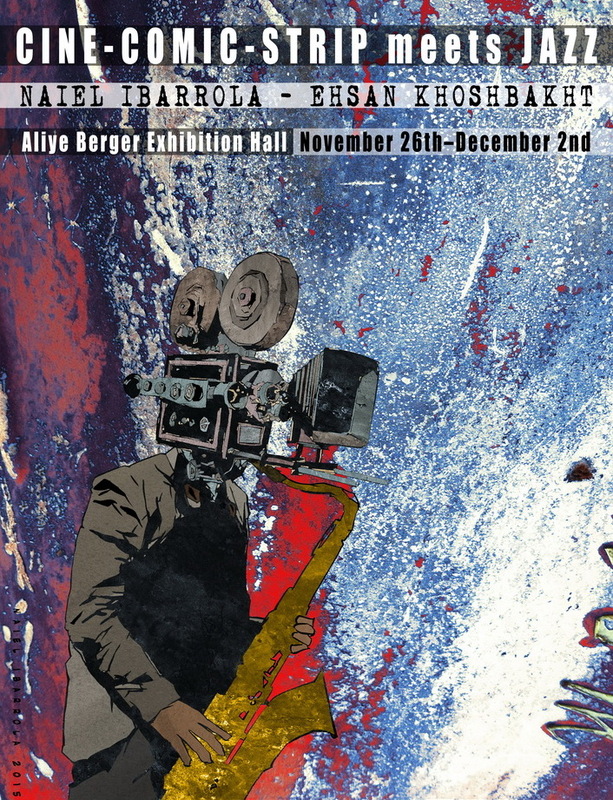 The concert was held during the Berlin Jazz Festival in October 1991, nearly two years after Epitaph's New York premiere. "There were many times in the many-months-long preparation for the issuance of Epitaph when I felt that what many of us consider a jinx under which this great work has stood—the first expression of which was the disastrous attempt to record Epitaph in I962—was continuing to exercise its evil curse. 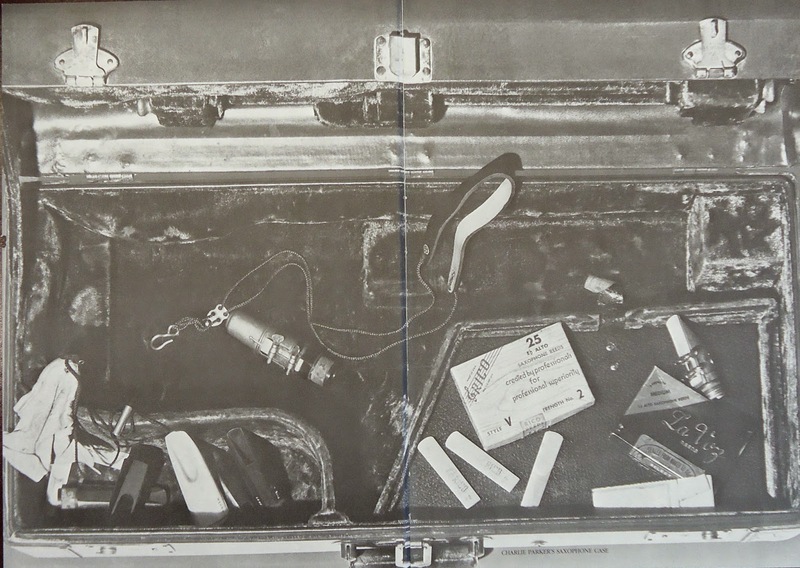 Recording equipment breaking down, gremlins in computerized mixing consoles, tapes being inadvertently locked up in temporarily inaccessible offices, unavailability of mixing and editing studies when needed, enormous scheduling conflicts, and so on." I hope someone comes up with the complete video of Berlin concert. 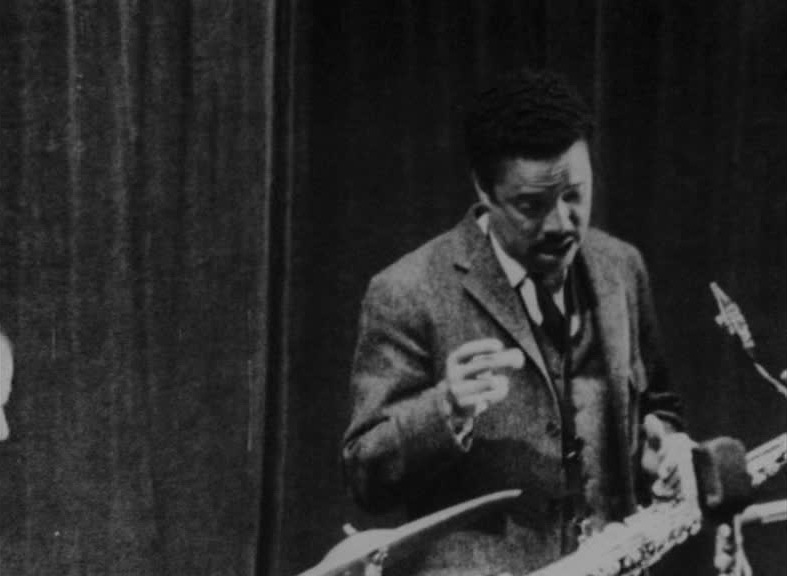 Until then, enjoy this great 25 minutes of Mingus' music. 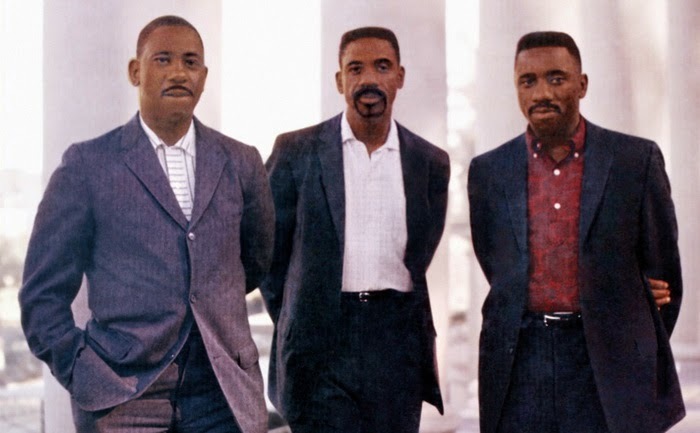 It's almost miraculous that the combination of a classic jazz trio (piano, bass, drums) and the American songbook can sustain its freshness and elements if surprise after decades of being practiced and rethought. Maybe like that old standard, Say It Over And Over Again, the beauty of the classic trio reveals and definitely perfects itself in repetition and recurrence. Whatever the case, if one adds to that magical combination a Roman sensitivity, which is evident through the musical career of Andrea Marcelli, then the result would be something like Sundance, a 9 year old record by Andrea Marcelli Trio which I discovered recently. 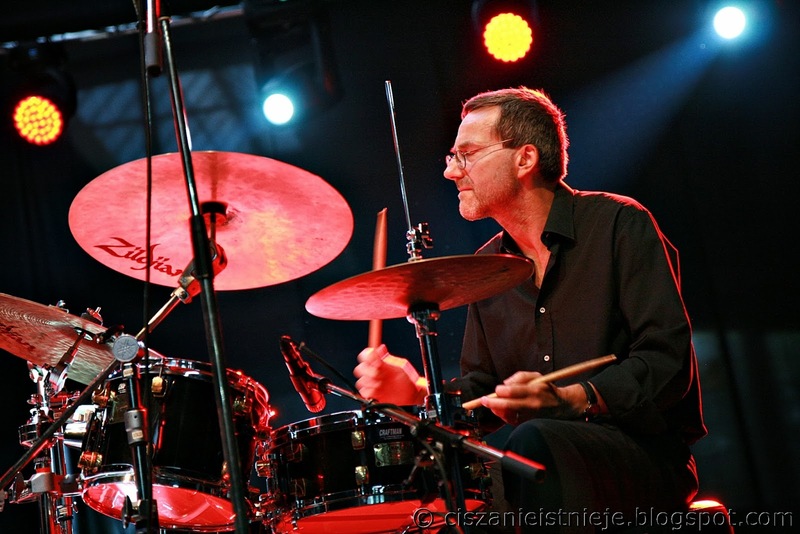 A Berlin-based group, the Trio features the leader on drums, Danish Thomas Clausen on piano and an Italian Davide Petrocca on bass. 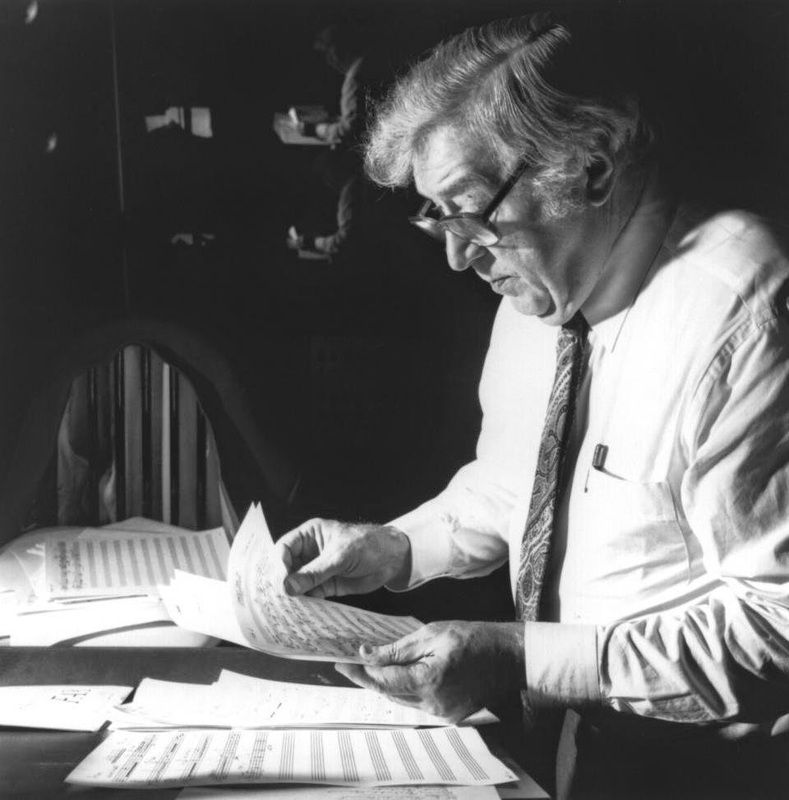 The recording in question, is celebrating both the old and the new: there are standards (by Gillespie, Porter, Ellington), as well as originals by Andrea Marcelli and his contemporary Italian composers. Peanuts Hucko was busy playing various Armstrong and Goodman pieces from the mid-80s onwards, as documented on a CD called Tribute to Louis Armstrong and Benny Goodman, a title previously used for a Stuttgard-based TV show, ZDF Jazz Club. This performance from the aforementioned show features Peanuts Hucko on clarinet, Johnny Varro on piano, Colin Green on bass, and Jake Hanna on drums. It was filmed on May 15, 1987.